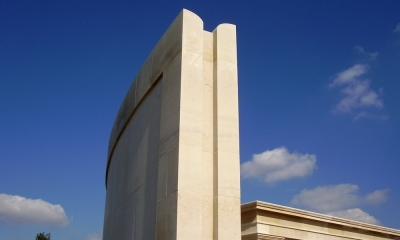 Contemporary styling showcasing the best qualities of natural stone in a prominent position. 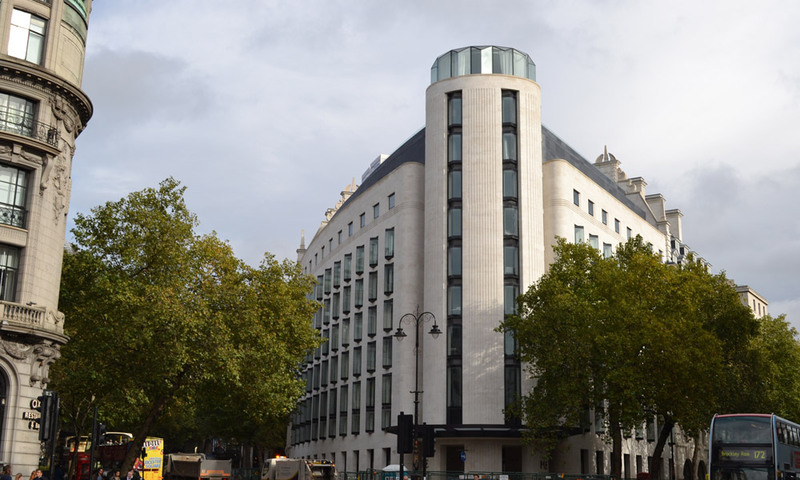 Situated at Aldwych (the Strand), in the heart of the tourist and business centre of London. 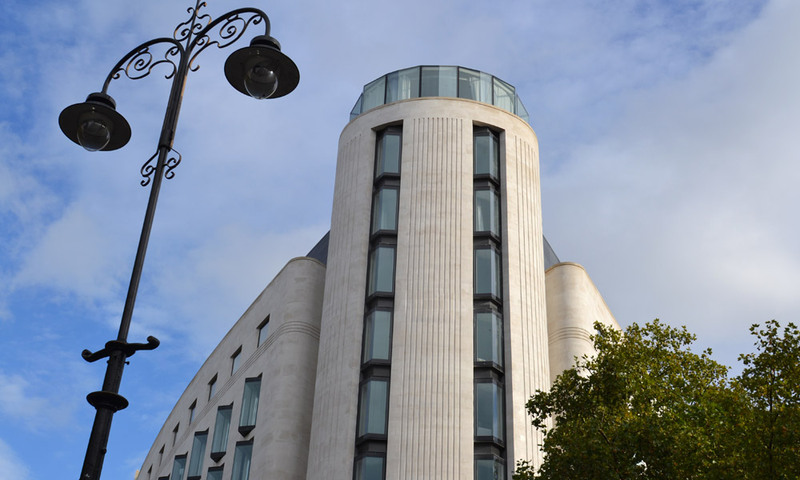 The contemporary ME Hotel is developed for the luxury tourist market. 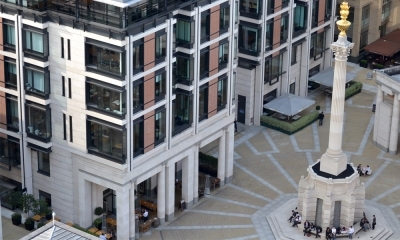 Portland Stone Firms provided over 400 m³ of finished masonry for the project. This included cladding, and finely detailed classical architecture finishes to the gable ends, chimneys, raking copings, and obelisks. 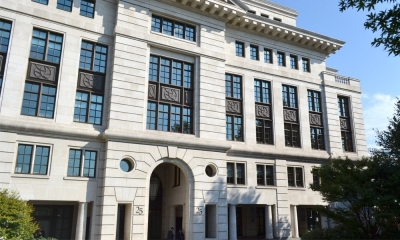 Designed by the international and award winning architecture practice Foster + Partners, the 2,400 m2 building is clad in our Coombefield whitbed limestone. Also at lower levels Coombefield roach limestone was selected to ground the building into the street scene and provide a visual contrast. The triangular site of the ME Hotel was once home of the Gaiety Theatre that was damaged during the war. After being demolished this made way for a grand sweep of buildings that make up the 1920s crescent seen today at the heart of the West End. 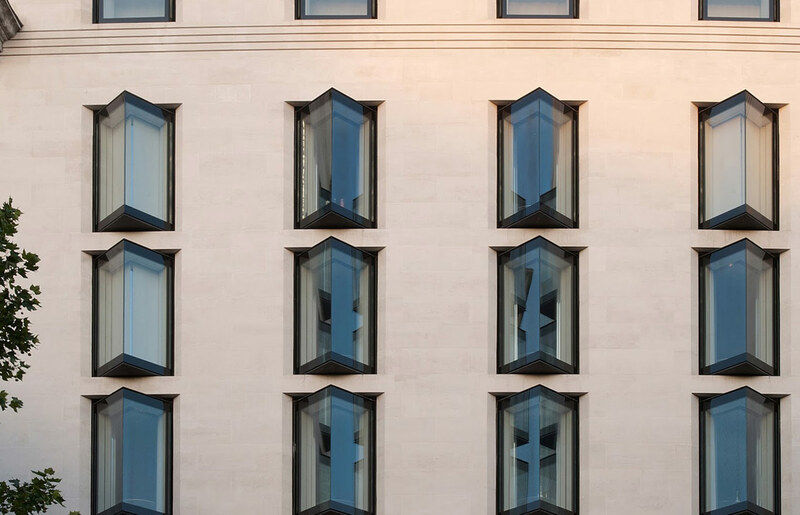 Aiming for a more contemporary approach by leading architects Foster & Partners, a new Portland stone facade with minimal detailing and simple triangular oriel windows gives a sense of cohesion to its neighbours. 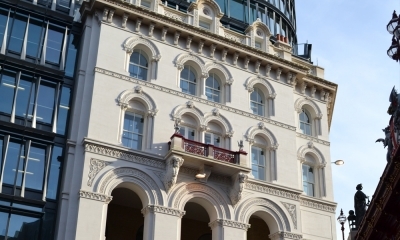 The elliptical tower on the corner of the hotel defines the Aldwych Crescent and main entrance, topped by a glass cupola nodding to the Edwardian-style domed roof seen opposite. 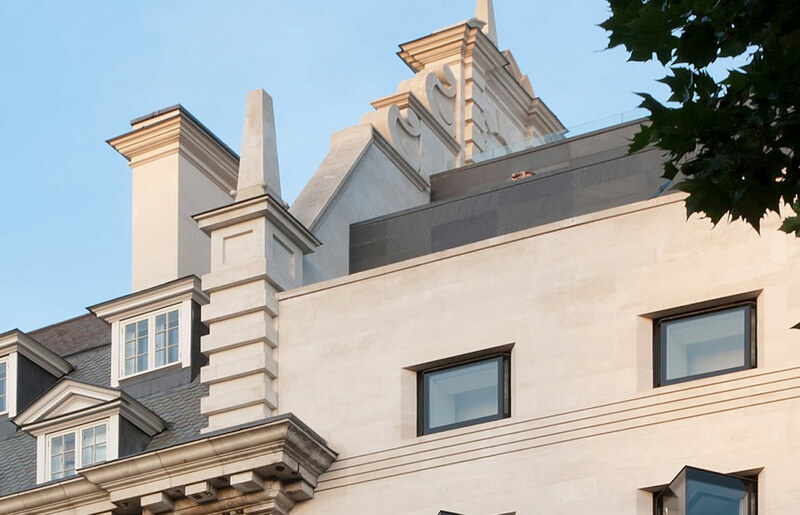 Our Portland stone was chosen to provide a rich texture and luxurious natural material from ground floor to the hotel’s rooftop terraces, sky bar and gardens, with spectacular views of the river and Westminster skyline. Stone Selection: Coombefield whitbed and Coombefield roach – chosen for its exceptional durability, clean finish and contrast.